All fights at my Northern beaches primary school took place at the “Village Green”. This cliché-named grassy area was surrounded by bush, only a few hundred metres from school and was far from prying teacher and parent eyes. I was eleven, walking there in a daze with my best mate Pikey and essentially the rest of the school, who all knew to form a big circle. Biff Gutman (not his real name) was enormous! 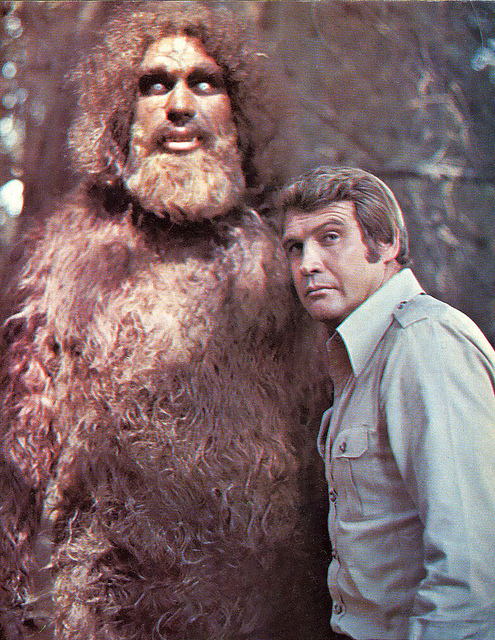 With shoulders like the Six-Million-Dollar-Man Sasquatch, he took his position as ruthless school bully, very seriously and used to smash guys any chance he got. And I was fighting him. Earlier that day, Gutman had me in a headlock. My ears burned, neck was stretched painfully and my back screamed. He randomly grabbed any kid in the school he wished (except for Pikey) and this was just my turn. Pikey was… an animal in a fight, far from a bully, lean and wiry he was the toughest kid in the neighbourhood. I’d seen him ferociously fight three blokes our age once, when they tried to steal our chocolate Paddle Pops and trade punches with two kids simultaneously from the year above! Nobody messed with Pikey. While most school fights were mainly wrestling, Pikey was a hitter. Anyway, Biff was parading me and stopped in front of Melanie Cutest (fake name) the hottest girl in the school and her entourage of good sorts. I had no choice but to lip off, knowing it’d mean Biff would probably keep me headlocked. Paully Jenkins smelled so badly we used to call him “Feet”. Nobody ever made fun of Biff Gutman. Nobody. Slowly the girls started to chuckle and before long everybody was laughing at him. Surprisingly, he let me go. I stood. His massive head was KFC-box red and was en route to exploding. I think my heart actually stopped. Everybody cheered. Oh f#ck. I’d seen Biff punch guys in the face until they collapsed and then kick them. He was a brute. Twice my weight, loved hurting and I’d never seen him so enraged! I was going to die that afternoon. A disappointing turn of events. Me – “Really, Feet?” I looked at him hopefully. I had no choice but to show up. Biff stood in the circle rolling his Sasquatch shoulders and throwing practice Jase-smashing punches. I was skinny (then, now… not so much), I had no chance. As we approached the already established circle, Pikey was giving me tips about hit first, hit fast but I just couldn’t follow. My mind was a rolling fog of impending death. Great. My fighting expert gave me no chance. I couldn’t really hear him or anything else over the din and my fear anyway. I was near tears and it was all I could do to stop my legs running like Steve Austin. On the Northern beaches, you didn’t let anybody else fight for you. It’d make you a coward. A weakling. A chicken. You certainly wouldn’t be able to claim in any way, to be like the Six Million Dollar Man! No Jamie Sommers for you. But… f#ck that. This was BIFF GUTMAN! My pride would heal a lot faster than a broken face. Pikey – “No worries. Hold me bag and me footy cards. There’s pretty much the whole school here so after, we can do some tradin’.” Swapping of Rugby League cards was banned in school ever since Biff had bashed poor Johnny Tinsdale who would not swap his Max Krillich card and a Graham Eadie, for a Terry Randall . Biff (holding up his hands in a pre-emptive victory salute) – “GET IN HERE NOW JASE. I’M GONNA SMASH YA F#CKIN’ FACE.” He laughed at his rhyme. Me (feeling quite chipper) – “Biff! Here’s Pikey… in my stead.” Now that I wasn’t fighting I was using fancy words. Biff’s face drained of colour. The throng cheered excitedly. They were expecting to see me get beaten senseless, now they were going to see the fight of the century. Biff immediately resisted and called strongly for the court of public opinion to sway the overwhelming advantage back his way. I won’t go into the violent details. However, they fought, Pike won, easily. Biff was humbled by about a eight tremendous punches to the face. A popular victory, with everybody present. Bullying-Biff was lying on his stomach, hands protecting the back of his head, face in the grass, crying with Pike sitting on his back. The crowd erupted, cheered, whistled and hugged. Biff never bullied again. All their lives had changed forever. And that, was how I took down the school bully in 1979! Still to this day I can’t believe we stood up to Biff Gutman… and I won!